FREE 20 minute Strategy Call with Coach Randy Brown. Choose a the best time that fits you. Learn how to take on adversity in life and WIN! 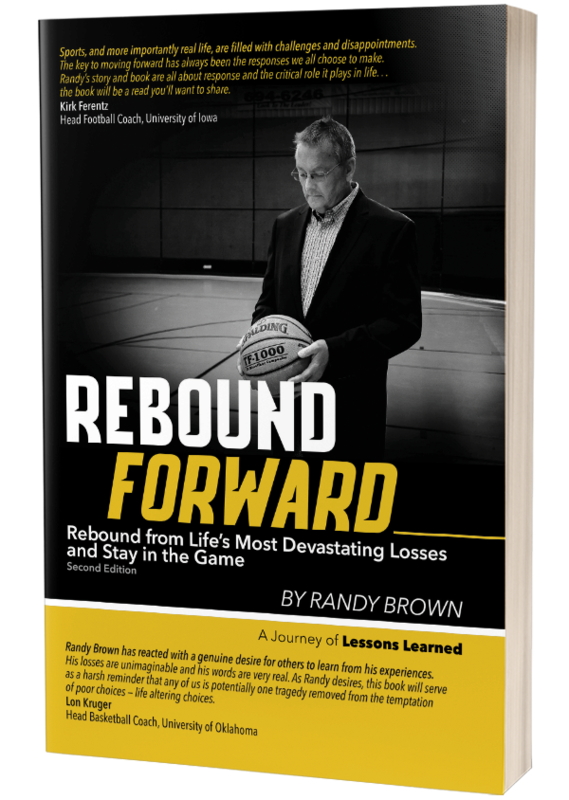 Randy Brown pulls no punches in this transparent and revealing attempt to take on adversity and ultimately WIN! 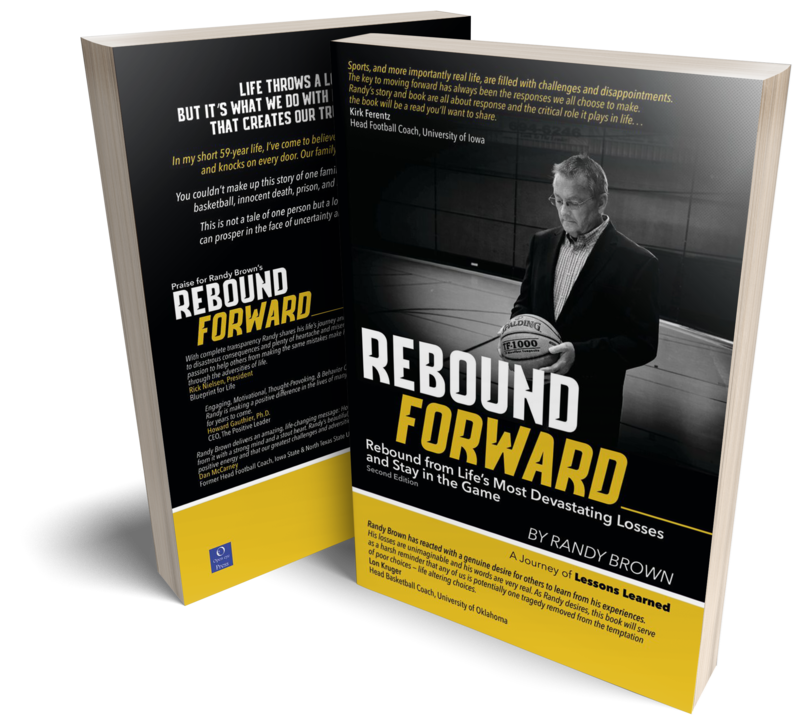 Rebound Forward is a hard-hitting tale of adversity and how it can enhance or destroy your life. Let it help you to learn your Adversity DNA, develop a proactive mindset, and prepare to manage adversity before its arrival. Coach Randy Brown has a clear message; everyone will experience adversity in their life and it isn’t fair—there’s no such thing as fair. Deciding how you deal with that adversity is a skill that takes work to develop and that’s where Coach Brown can help. He owns up to the mistakes he made in his life and encourages others to do the same, before those mistakes cost them the things they hold most dear. Coach Brown’s message is honest and thought provoking, his cautionary story will make you examine what choices you’ve made when faced with tough situations and encourage you to take the path that leads to redemption. Randy's core message strikes at the heart of us all. Everyone faces adversity. Some often seemingly insignificant, while some nearly insurmountable. Randy's message is clear, concise, and consistent with all challenges. The transparency he delivers of his own battles was almost therapeutic, and without the high cost associated with a per-hour shrink! The men of our church were encouraged and challenged by Randy Brown’s message. His personal testimony and heartfelt admonition helped us all to become more transparent and vigilant in our battle for sexual purity. 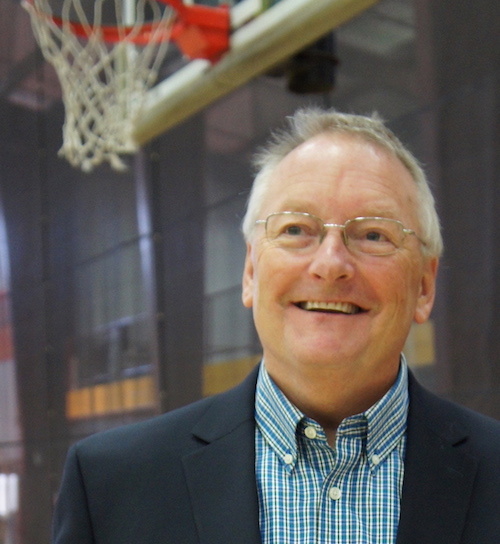 The subject is not easy to address, but the respected coach did so in a way that was honest and direct, compassionate, courageous, and Christ-centered. Randy captures the attention of his audience with his down-to-earth style, humor, and confident approach. His willingness to show vulnerability and speak about personal experiences that are often left out of the conversation on this important topic is commendable. He is an engaging speaker and challenges his audience to reflect on their own thoughts, beliefs and behaviors. Randy is a dynamic speaker. His message is engaging, motivational, thought provoking, and behavior changing. Randy is making a positive difference in the lives of many people and his message will talked about for years to come. Randy Brown delivers an amazing, life changing message: How to deal with lots of adversity and to grow and improve from it with a strong mind and a stout heart. Randy’s message can be applied to your family, your team or to your future path in life. In my 45 years in Division I football, I’ve experienced firsthand, Randy’s stories of the power of hope and that there are no great victories in athletics or life without experiencing heartache and adversity. Randy sent a beautiful, inspiring message to my Iowa State teams based on positive energy effecting everyone around you and that our greatest challenges an adversities can turn into our greatest blessings. I just finished reading Rebound Forward and I’m overwhelmed with thoughts and emotions. I am amazed at your willingness to go back and share so much tragedy and disappointment. Incredible courage, that in itself is inspiring to all of us who read it. But there are also a lot of great words of wisdom coming out of your experiences. Powerful encouragement for all of us as we face life’s challenges, although you have faced so much. Of course, I love the music and basketball references throughout the reading too! I’m proud of you for undertaking such a challenging project and sharing your story. I can’t wait for your next book! Over 15 years ago Randy shared with me how he wanted to use his story to help others. MISSION ACCOMPLISHED! His book, “Rebound Forward” shares a real life, inspirational journey by a man and his family as they experience happiness and success along with persevering thru heart-wrenching adversities. This book provides invaluable reminders, advice and lessons as we move forward and rebound forward in life. This book is your labor of love, especially as you poured out your struggles, setbacks, disappointments, and challenges. I admire your courage, and desire to help others through what you’ve learned in your mistakes. May God bless you and the book on your continued journey through life. Thanks friend.